Effective May 24, 2011 - Grand Vegas Casino has decided to no longer permit any "NEW" players in playing at their online casino. If you already have an account registered with them no problem you can continue to play. All Grand Vegas Casino links on this page now point to our home page where you'll find a top 10 list of the best online casinos to play at. Grand Vegas is the latest offering from a group that operates excellent online casinos such as Go Casino, Online Vegas Casino and Crazy Slots Casino. It is licensed and regulated in the gambling jurisdiction of Curacao, which is highly reputed. The software is from Vegas Technology. Grand Vegas is committed to maintaining the privacy of customer information, preventing underage gambling and ensuring the security of financial transactions. The games at Grand Vegas online casino are classified into four groups, which are Slot Games, Table Games, Video Poker Games and Specialty Games. 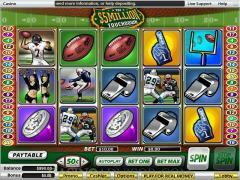 The Slot Games is the largest category and includes three reel, five reel and seven reel slot games. 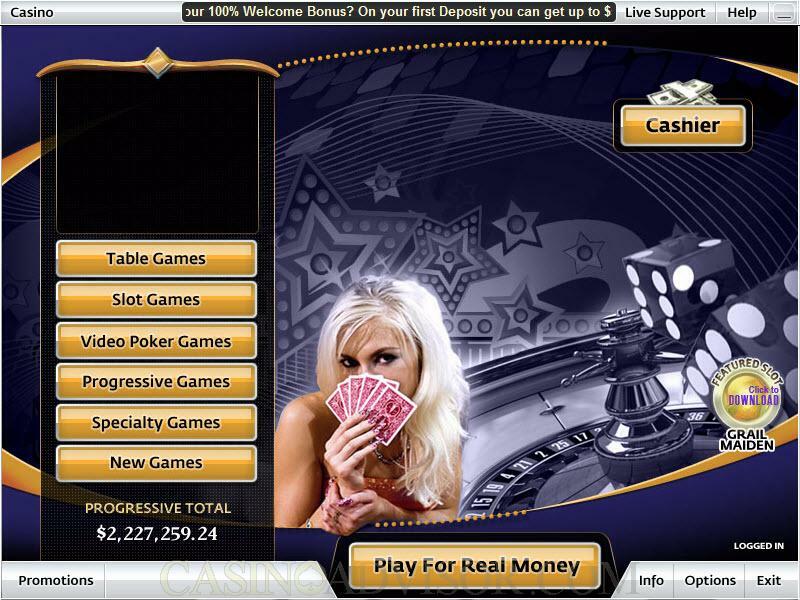 It also offers some large payout progressive jackpot slots. The table games include popular games like roulette, blackjack, baccarat and craps. A number of card games based on poker are also offered. The standard variants of video poker can be played in single hand and multi hand formats. The specialty games are unique games that do not fit into any other classification. When players sign up with Grand Vegas they will be entitled to a one time welcome bonus. This bonus is 100% of the first deposit. 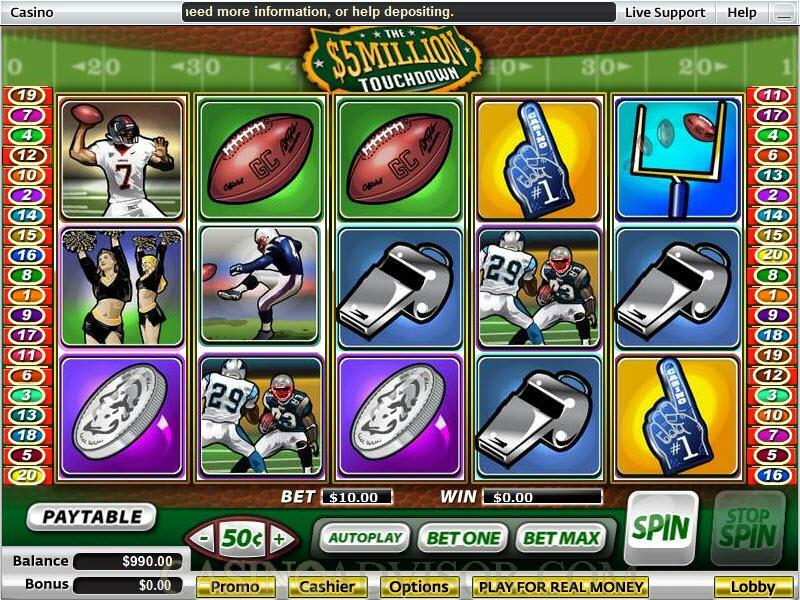 The minimum deposit has to be $25 and the maximum bonus can be $555. Regular players will be entitled to claim reload bonuses every Tuesday and Friday. They will have to choose between a deposit bonus and cash back on losses. The other promotion announced is prepaid gift card bonuses. A minimal Frequently Asked Questions section is provided at the Grand Vegas web site. For questions not addressed there players can contact customer support by phone and e-mail. The customer support functions round the clock. Only the more common payment options are accepted at Grand Vegas online casino. However, players should keep in mind that transactions are done only in US dollars. Grand Vegas Casino is no longer accepting players from the United States or from the rest of the world. 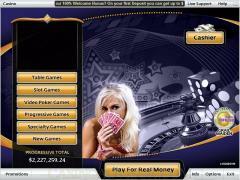 Players who have real money player accounts with Grand Vegas Casino from before May 24th, 2011 will be able to use their accounts to play at the casino. New players are suggested to visit the homepage of CasinoAdvisor.com for a listing of top 10 online casinos which are still accepting players. Interested in reading more detailed information about Grand Vegas Casino? If so Click Here for more details.